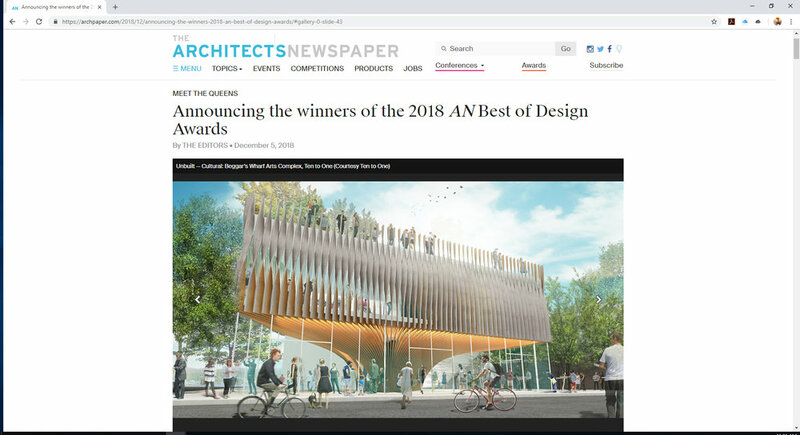 Ten to One is thrilled to announce our Beggar’s Wharf Arts Complex has won the 2018 A|N Best of Design Award in the Unbuilt Cultural category AND our Community Innovation Campus here in Brooklyn has been awarded Honorable Mention in the Unbuilt Educational category!! We are honored to be in such distinguished company, wish to congratulate all the winners and wish to humbly thank Architect’s Newspaper and the jurors. These awards are a testament to collaborative, big thinking between designers and municipalities, community leaders and educators as well as to the @pubarch 1+ program and the power of pro bono. Now we have to get these two projects built!! We invite you to check out these projects and more on our new website tenonearch.com!